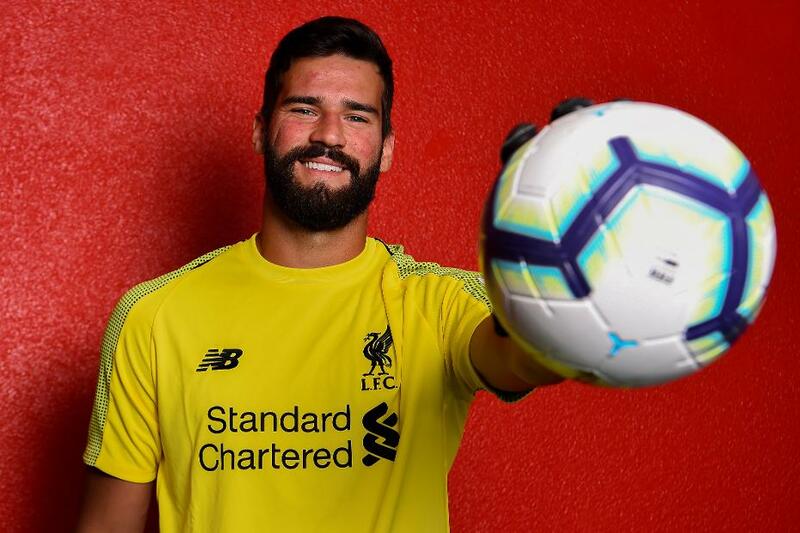 Three new signings have just been added to Fantasy Premier League for 2018/19, and Liverpool's new goalkeeper will merit managers' attention. The arrival from Roma of the Brazilian can boost Liverpool's potential for clean sheets. Alisson claimed 17 clean sheets in 37 appearances in Serie A last season. That equals the combined 17 produced by his new team-mates. Loris Karius (£5.0m) got 10 clean sheets and Simon Mignolet (£5.0m) supplied seven. The signing's shot-stopping talents also fare well when compared with the two players he will compete with for a starting place. Alisson faced 135 shots on target in 2017/18 and saved 79.3 per cent of them. Again, this is superior to both Karius, whose record was 68.9 per cent, and Mignolet, with 59.3 per cent. Alisson also saved two of the five penalties he faced in Serie A in 2017/18. Indeed, his statistics are more on a par with David De Gea (£6.0m), last season’s top-scoring FPL goalkeeper. Both played 3,330 minutes and conceded 28 goals. The Manchester United goalkeeper recorded only one more shutout, 18 to Alisson's 17. He also made just six more saves, 115 to Alisson’s 109. However, Fantasy managers may choose to overlook Alisson and opt for his defensive team-mates Andrew Robertson or Virgil van Dijk (both £6.0m) instead. That is because both defenders carry a significant attacking threat that can justify the extra spend. Robertson's average of 5.0 points per match was joint-top among FPL defenders in 2017/18. And Van Dijk made a big impact after arriving at Anfield in Gameweek 24 last season. The Dutchman's totals of 16 shots, 12 from inside the penalty area, and six on target, were ranked among the top five defenders from that point onwards.